Times are tough, and when Mum sends Trev off to the market to sell his bike, she is disgusted when he comes home with a handful of seeds and chucks them out the window. 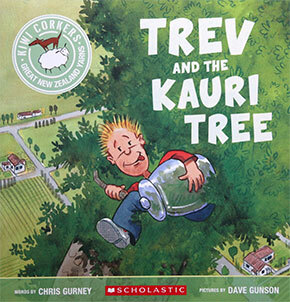 Next morning, Trev is amazed to see a giant kauri tree has grown up beside the house and at the top of the tree he finds a taniwha's lair ... Humorous Kiwi version of Jack and the Beanstalk in which Mum resolves the problem at the end with her trusty chainsaw! "Yum Yum, what's that pong? Something here does not belong! Fling him in the hangi pit!" Kauri are among the world's mightiest trees, growing to over 50 m tall, with trunk girths up to 16 m, and living for over 2,000 years. Tane Mahuta, king of the forest is the largest remaining kauri tree in the country. The 1,500 year old Tane Mahuta is 51.5 m tall, with a girth of 13.77 m. It is found in Waipoua. Read more facts about the Kauri tree, from the Department of Conservation. Taniwha are supernatural creatures in Māori tradition, similar to serpents and dragons in other cultures. They were said to hide in the ocean, rivers, lakes or caves. 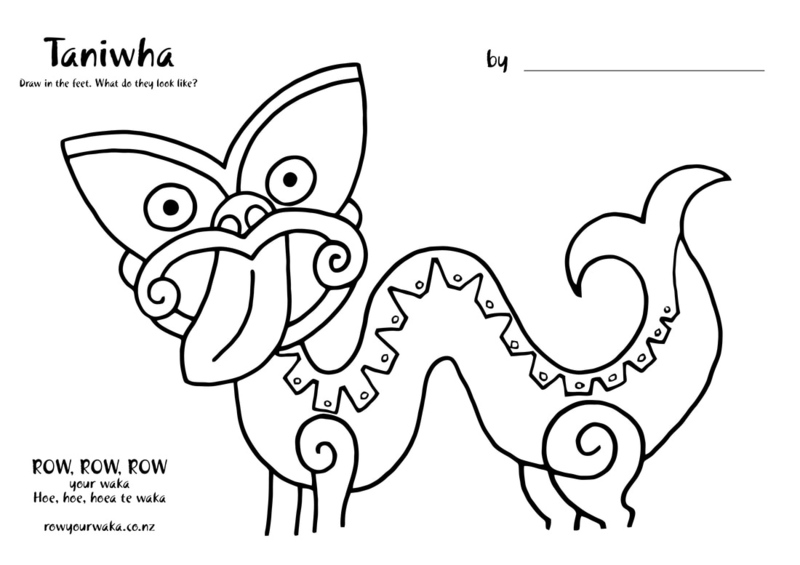 Read all about them and more Taniwha stories, at The Encyclopedia of NZ site. Sing along to the song 'One day a Taniwha'. A hangi is a traditional New Zealand Maori method of cooking food using heated rocks buried in a pit oven. It is still used for special occasions. Watch a short video of a hangi pit being made and the food placed within it to cook ... plus how delicious it looks when it comes out. I figured out by about page three that this might well be a kiwified version of Jack and the Beanstalk and by then I and my little misses were already captivated by it. 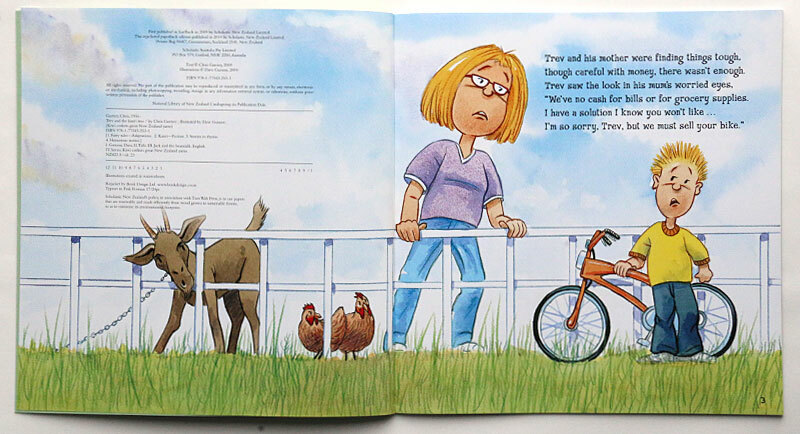 Story quiz - test you knowledge of the story. Bookmarks – print off a page of bookmarks, add decorations if you want to, and give to your friends! 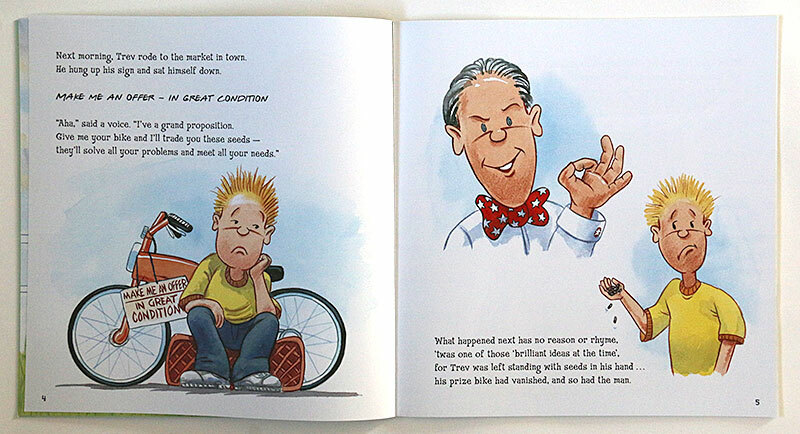 © Chris Gurney 2009 - 2017 + Illustrations © Ross Kinnaird 2009 - 2017. All rights reserved.